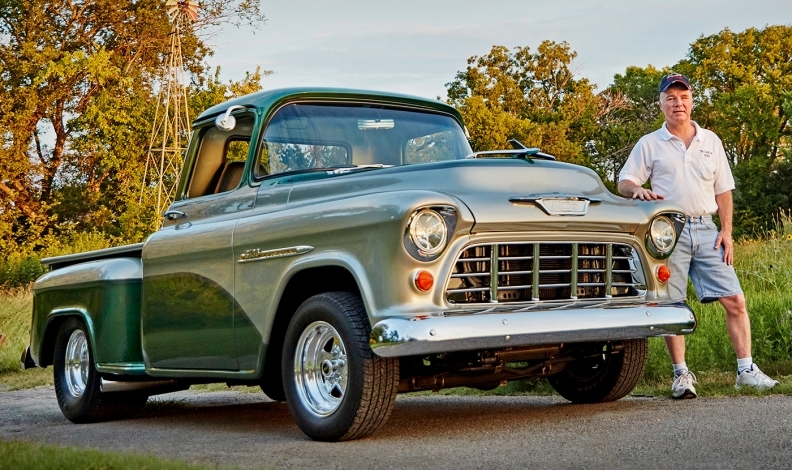 FORT WORTH, Texas — What makes someone a "Chevy Guy?" Ask the folks in Chevy's marketing department, and they can narrow the answer to an average age, income range and lifestyle category. But ask Chevrolet pickup owners, and they'll say it's a mix of tradition, family and a respectful dislike of any truck with a Blue Oval — all of which have combined to make pickups a potent profit epicenter for America's largest automaker. "It's a family tradition," says Jason Mack, 40, whose father passed down a 1996 Chevrolet Silverado to Jason's 19-year-old son, Daniel. "There's no changing this," adds Daniel, wearing an American flag-themed Chevrolet bow-tie shirt. The Macks are the type of people General Motors had in mind when it created the 2019 Silverado, which the company unveiled to hundreds of owners during a 100th anniversary event for Chevy trucks on Dec. 16 at the Texas Motor Speedway. Chevy guys, or gals, are loyal customers on whom the company has relied for the past century. They've bought Chevrolet trucks for decades and pass their enthusiasm and loyalty to younger generations — something the company cherishes from both an emotional and business standpoint. "The loyalty is really at the heart of everything we want to do," Alan Batey, GM's North America president, told Automotive News. "Everything we're doing is to build the most loyal customers we can in the industry, because it's just the right thing for our business." Pickups have arguably contributed more to GM's good fortunes than anything else, especially in recent years. They account for more than 30 percent of its U.S. sales in 2017. They are why the company is reportedly spending nearly $3 billion to improve factories in Michigan, Indiana and Mexico to build the next Silverado and GMC Sierra. And they are the reason why GM can afford to fund initiatives in mobility services and autonomous vehicles. "Trucks are one of our most important profit sources," Batey said. "You know, when you think about trucks, we have four or five competitors. In some segments, we have 20 competitors." 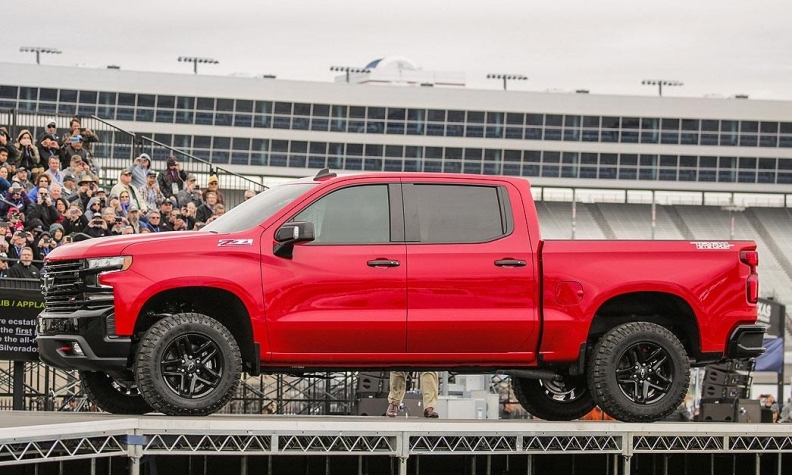 The '19 Chevy Silverado was unveiled this month at Texas Motor Speedway. What do Chevy owners want out of next-gen pickups? Chevrolet chose Texas -- a market that has accounted for 15% of pickups sold in the U.S. in the last year -- for its celebration of the 100th year of truck production Automotive News asked Chevy owners from the state what they'd like to see out of GM's next-generation pickups. Here's what they said. GM is on pace to sell more than 900,000 pickups in the U.S. in 2017 — including full-size and midsize — retaining its No. 1 sales position for a third consecutive year, ahead of Ford Motor Co.
GM's dealers appreciate the value of those sales. Pickup buyers are the most loyal in the industry, so every pickup customer represents years and even generations of potential future sales, notes Craig DeSerf, general manager of Gulf Coast Chevrolet-Buick-GMC in Angleton, Texas. It's one of the reasons DeSerf tries to enroll every truck owner who comes into his service department in Truck Legends, a program Chevrolet rolled out nationally in September to recognize its customers. The program targets customers who have more than 100,000 miles on their Chevrolet truck or who have bought or leased at least two new trucks in their lifetime. Members include Richard Page, 83,of Greenville, Texas,who bought his first new Chevrolet in 1957 and now owns a 2009 Silverado, and Doug Potts, 56,of Arlington, Texas, who has owned 10 to 12 Chevrolets over the years, including his current 2004 Avalanche. The free program is essentially bringing traditional Chevrolet truck owners into an organized group to help the brand communicate with and keep track of customers after their purchases. Owners are rewarded for their loyalty with exclusive Chevy merchandise, test drives and access to events such as the unveiling of the 2019 Silverado. The group has grown from 5,400 members during a one-year pilot in Texas to about 30,000 since going national, according to Sandor Piszar, Chevrolet trucks marketing director. "It's really surpassed our expectations," he said. "There's certainly a business aspect to it ... but it's a great opportunity to hear their voice, what are they interested in ... and just to recognize their loyalty to the brand. That's really invaluable for us." Chevy used several Truck Legends members for its most recent ads as an iteration of its successful "Real People, Not Actors" campaign, which Piszar said will continue for the foreseeable future. "It is authentic and genuine," he said. "That's really why we've stuck with this, and I think you'll see us continue to stick with this."